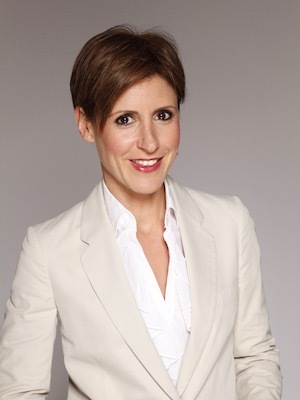 Emma Alberici is the ABC’s Chief Economics Correspondent and one of Australia's most highly regarded journalists. Her career began at News Limited's Herald Sun Newspaper. Emma worked at the Nine Network for ten years with stints on Business Sunday, A Current Affair and ultimately helped create “The Small Business Show”. Emma moved to the ABC in 2002 to present Business Breakfast. Since then she has been the 7.30 Report's Finance Editor and a senior reporter for radio current affairs' AM PM and The World Today. In 2008, the opportunity was offered to relocate to the UK where Emma spent four years as the Europe Correspondent for the ABC. With three children under 3, Emma became the first Australian mother to be a foreign correspondent - something she is thrilled is not remarkable anymore. She arrived in London just as Lehmann Bros was collapsing and as the world began questioning every accepted orthodoxy attaching to global financial markets. For someone who had spent most of the previous two decades as a business and finance journalist, it was a case of right place, right time. Emma returned to Australia to host ABC1's Flagship current affaris program Lateline Program which she presented for six years until December 2017. The daughter of a greengrocer, born and raised in Melbourne by migrant Italian parents, Emma has been a finalist three times in the Walkley Awards for journalistic excellence. She studied her BA at Deakin and Melbourne Universities graduating with majors in Journalism, Economics & Italian. She is the author of three editions of The Small Business Book.